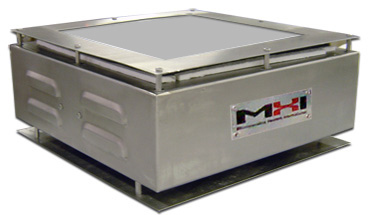 9″D x 9″L Thermoplate for use up to 1000°C. BPAN-O-PLUS control panel is included. Ceramic top for rapid heat up. Spiral elements provide extremely uniform temperature distribution. MHI BPAN control panel with full furnace electronics. Note than an upgrade price to the PLUS Model (with two t/c’s) is shown. Pictures of BPAN-O and BPAN-O-PLUS are shown. PLUS models have process and overtemperature controls. The over-temperture control t/c (supplied) may be used for placing on the plate. Standard Controller: Temperature Controller for heating process. is CE and UL rated. Wiring requirements: 240 Volt, single phase @50/60Hz, 35Amp Max current (if voltages of 208V or 220V are desired, please indicate at time of order). A suitable power transformer is included. Please choose Thermoplate Lid if required. Lid covers the Thermoplate and is 2″ high. Handle for removal provided – please note that handle although insulated may be hot ~+100C. Visit our Thermoplate Section for more information and for price quote. VK- US Industry. Vice President. “That is what I expected. …..perform some of our R&D work. 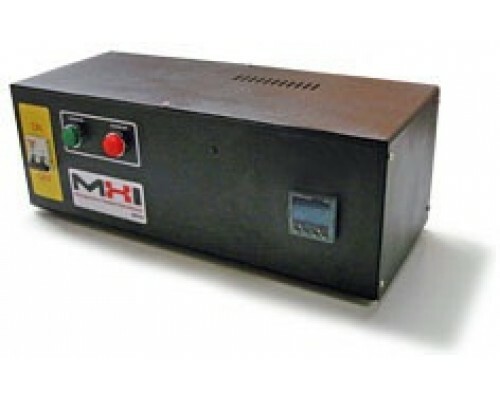 MHI response. Thank you so much for the appreciation. We surely appreciate your professionalism in dealing with this order and in fact we find the interaction with your company to be outstanding as compared to other companies.